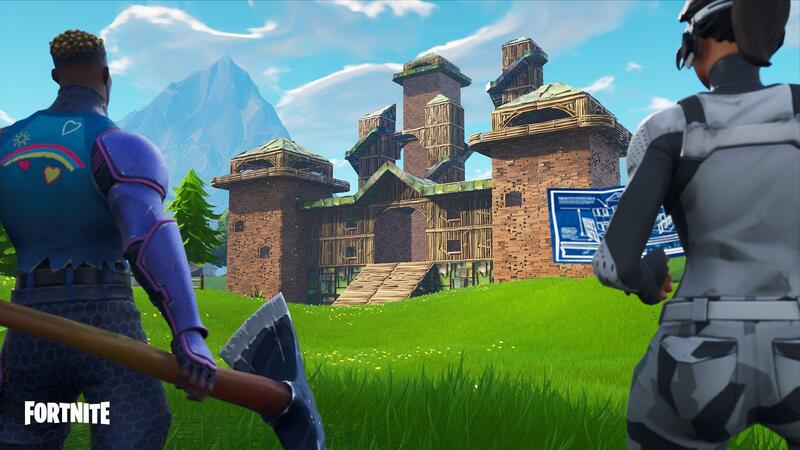 We had reported just yesterday that the Port-A-Fortress defense item would soon be added to Fortnite. Well, it’s already here, along with a bunch of other changes that the new update 1.79 brings to the game. The Getaway game mode that was added with the High Stakes event has now been removed from the game, and in its place comes the new Soaring Solos limited time event, in which gliders can be re-deployed when jumping from tall heights. Apart from this, this new patch also brings a few optimizations and various bug fixes to improve players’ overall experience with the game. It’s great to see how Epic Games keeps updating the game regularly with new content, items, and weapons, just to keep things fresh for the playerbase. Hopefully, we’ll get to see a lot more content soon enough, with the inevitable Season 6 looming on the horizon- although there hasn’t really been any official information regarding it. You can check out the full patch notes below (as provided by Epic). Fortnite 1.79 update optimized file layout on Xbox One to improve streaming performance. This should reduce instances of buildings rendering in late. Fortnite update 1.79 introduced a new consumable to the Playground LTM that will allow you to spawn an entire Spiky Stadium. We were inspired by the amazing things you’ve been making within Playground, and cannot wait to see what you create as we continue to build out the future of creative mode in Fortnite. Fortnite version 1.79 includes built-in Bouncers for an easy exit. Fortnite update 1.79 fixed an issue where there was a slight delay when consuming multiple Small Shield Potions. Fortnite 1.79 added new generic icons to represent console and desktop platforms for cross-platform play. Fortnite update 1.79 added edge glow to wall bounce pads, only visible from the reverse side. This is to help players recognize when a wall bounce pad is on the opposite side of a ledge in front of them. Fortnite patch 1.79 fixed an issue preventing players from being able to complete Storm Shield Defense side missions. Added fixes for some crashing issues with Fortnite patch 1.79. Fortnite 1.79 update has added stability improvements. Added other minor fixes with Fortnite version 1.79.